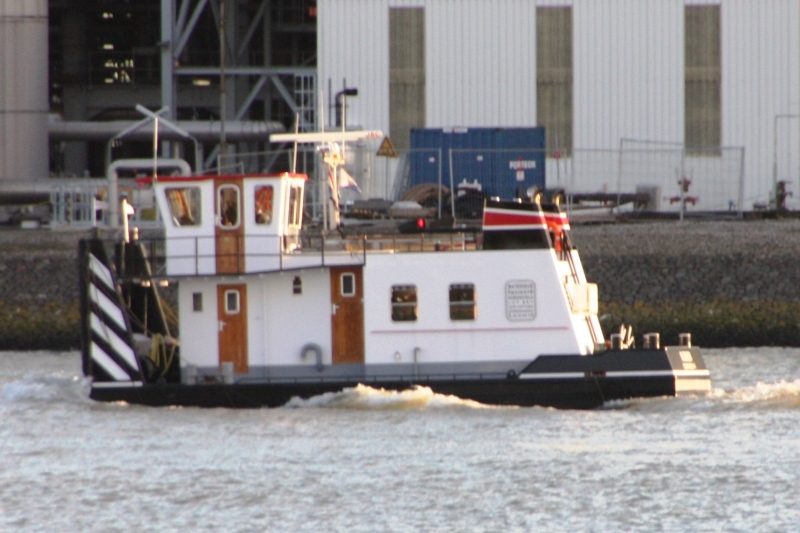 Inland pusher tug WATERGEUS spotted at the Nieuwe Maas off Vlaardingen, November 17th., 2017. LxBxd = 11,72m x 5,02m x 1,46m - 2 x Samofa-Mitsubishi diesel engine each 106 kW (145 hp). Owned by Leen Hofijzer Waterwerk & Transport B.V., Hardinxveld (Netherlands).